Spirit Acoustics, Inc. is a custom tack board and divider company that has been in the business for 16 years. We offer desktop dividers, tack boards, and wall panels for any application with custom sizing and infinite fabric possibilities. Almost everything we do is built to order and we are dedicated to finding the correct tack board or divider for any need. Please see some of our products below as well as on the toolbar and do not hesitate to contact us with any questions or requests for pricing. All products are built to last with the finest assembly and materials for function and durability. Each project is treated with care and responsibility to ensure the best possible end result. The experts at Spirit are eager to help you with any tack board, privacy screen, or wall panel project. Contact us with any and all questions. 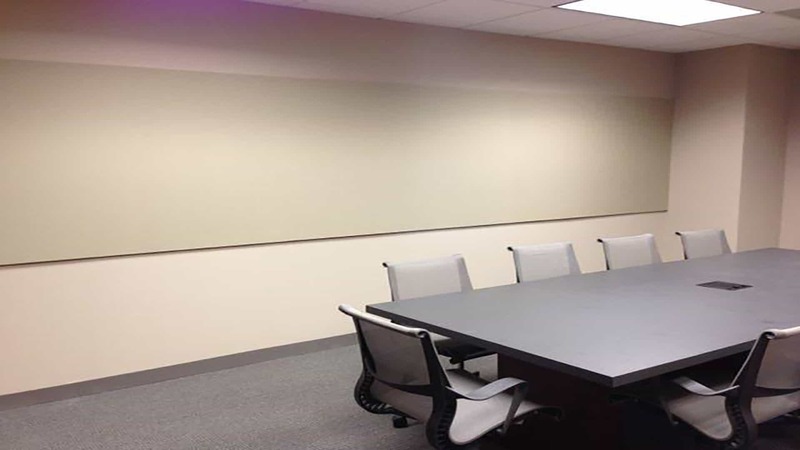 Due to the custom nature of the tack board business Spirit has devised solutions for all tack board applications with limitless sizes and fabric options available. © 2001 - 2018 Spirit Acoustics Inc.